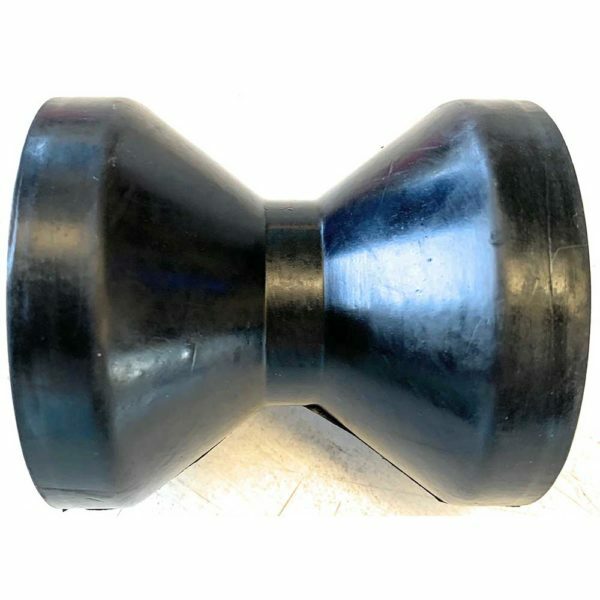 Special Offer: 3″ Bow Roller Black Rubber. CLEARANCE! Black rubber boat trailer keel roller. Perfect replacement roller for cracked or worn down rollers. Ideal for use with all brands of trailers including; Dunbier, Telwater, Savage Trailers, Swiftco, Mayfair, Spitfire, Sea Trail & many others! Note: This is a clearance item. Once sold out, we will not have any further stock. Note: Bulk quantity discounts available. The more you buy, the more you save!